We’ve liked the sound of the HTC One smartphone ever since we heard the first murmurings of the flagship device and haven’t been very secretive about our admiration for it. Although HTC announced the One would release running Android 4.1.2 Jelly Bean we also knew that this would be updated to 4.2.2 eventually, although there was no timescale available at the time. Now a source claims that the HTC One will receive the Jelly Bean 4.2.2 update within 2 months. Many of you following news about the HTC One will have heard that there has been some question recently over whether its release will be delayed slightly for some regions. Whatever happens it should shortly be available though. It is likely to come up against the Samsung Galaxy S4 as its main Android competition as that will also be released in April in some regions and other regions in May. In our comparison between the two we told how one of the aspects that favored the Galaxy S4 was that it would be launched running Android 4.2.2 out of the box. However if you were wondering if that would sway your choice, the news that the HTC One seems likely to receive the update to 4.2.2 between one month and two months after it releases may be interesting to you. Android 4.2 has already been pushed out to various Nexus devices and also the Verizon variant of the Galaxy Nexus but it seems it wont’ be long until the HTC One caches up. An HTC tipster dubbed @LlabTooFeR has tweeted reliable information before and has now tweeted in response to a query about the 4.2.2 update that the HTC One “will get the update in 1-2 months” so of course according to that tweet the update could come as early as 4 weeks after the phone releases. This means it could possibly be upgraded to Jelly Bean 4.2.2 before the Galaxy S4 releases, or very close to the same time. This is good news for anyone who may have been deterred from purchasing the HTC One just because it’s launching on Android 4.1.2. We should point out though that the new timeframe given for the HTC One 4.2.2 update is as yet unconfirmed. However it does appear credible because HTC will be very keen to do everything to help the One flagship compete against the Galaxy S4. One more thing to remember though is that owners of devices in the US often get such updates later because of carrier requirements so if this applies to you then you may have to wait a few weeks longer for the HTC One 4.2.2 rollout than those in other regions, however unfair that may seem. Jelly Bean 4.2.2 may well be the last iteration of the Jelly Bean updates as Android 5.0 Key Lime Pie is expected to debut at Google’s I/O conference in May. Just some of the benefits from the latest Jelly Bean update are Google Now, Quick Settings menu, new keyboard with gesture typing support, PhotoSphere camera feature and new lock screen widgets. 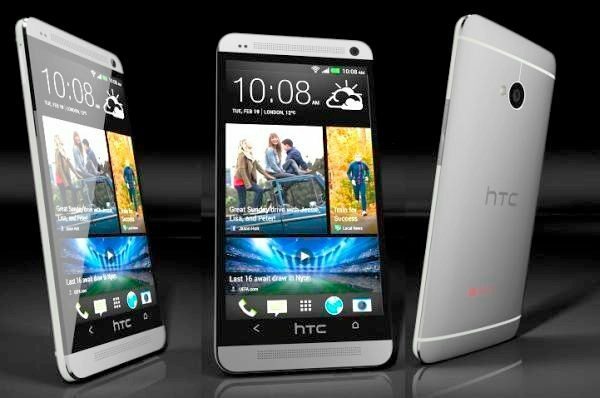 We’ll be keeping a close eye on this and if we hear any more news or leaks about the HTC One we’ll pass that on to you as soon as possible. What are your thoughts on the HTC One and its possible update to 4.2.2 so soon after launch? If both the HTC One and Galaxy S4 were available to you at exactly the same time running Jelly Bean 4.2.2, which would you choose? Let us know with your comments. sweet so it will launch with 4.2 since the phone won’t be out for two months? AWESOME! Picked mine up from Vodafone yesterday Joey. Still some promotional handsets available in Silver if you are quick! Get a life you sad waste of air. Troll, get a life. The HTC One already has 4.1.2 on it. Yea your Nexus phone is not that great either. Same old design that Galaxy Nexus has but with the back a bit different. Yours Nexus 4 Will get dropped 2 years later for the updates like they are doing with the rest. Old hardware on it as well. You can not compare a phone like the HTC one VS a phone that came out almost a year ago. Suggest you read the tweet carefully! There were 2 questions asked. Is the One getting the latest & greatest Jellybean version, or is it jumping straight to Key Lime Pie? The answer could have been a yes to either of those questions. Answer NO it’s NOT getting the lastest and greatest Jellybean it’s getting 4.1 NOT 4.2.2 —- Good luck waiting — wait about 6 months and your charging issues will start – your light won’t stay on when you plug in your USB charger. or it will flash on and off, then it will stop working. You will start switching outlets until you find one that works or so you think, the light will stay on until you walk 5 feet away then it will switch off.. You will end up buying a battery charger. BAD DESIGN!! ALL HTC Units! Absolutely pathetic to see people posting such idiotic and fact less comments..
You sir are a moron. The HTC One comes loaded with 4.1.2 here in Canada with Rogers. So i guess trolls needs to do their research a bit more. I’ve been weighing up my upgrade options from my S3 for a couple of months now and in the end the choice was clear… I collected my HTC One yesterday. It hasn’t disappointed. Clean, intuitive Sense 5 compliments JB 4.1 brilliantly. For me phone choice now has two pivotal elements once you have decided on OS flavour, hardware and design. This phone is simply beautiful and in truth is what I have been waiting for. Once I found out that the S4 was still going to be wrapped in plastic, my choice was clear. Holding and Using the HTC One is a pleasure. Best selection I have made in years. ALL HTC devices have charging problems…search google if you don’t beleive it…The USB charger they use gets dirt or gets loose or is just plan lame…whatever the case they ALL have problems charging the light doesn’t stay on you end up buying tons of cables or just plan give up and buy a battery charger. HTC is the only company that have these issues…You are talking Millions of Units!! Beware of HTC, the company sending you another phone is pointless because it’s going to happen on ALL HTC phones PERIOD! All HTC devices do not have charging port problems… I’ve worked as a cell phone technician for years and repaired HTC, Samsung, RIM, LG, Nokia, and Motorola phones. There are specific models from any manufacture that have had issues with charging ports. Generally charging ports are destroyed by poor care. Example: Talking on the phone while it’s plugged into a car charger, bending the charging port when it’s plugged in, or water/moisture damage. The known issues with charging ports is generally that there are weak soldering points on the motherboard of the device, which causes the charging port to break off. I’ve seen this issue with samsung and htc devices alike. Put a device in your hand and see how it feels. I’ve seen less HTC phones in repair than any other manufacture as a whole. If you’re looking for a solid device that’s built with quality, buy an HTC device. If you’re looking for a marketing giant looking to catch you with a hype, buy a Samsung or Apple product. It’s likely the issue is more with you and less with the device(s). My HTC Desire is 2 years and 3 months old and has no such issues. HTC One all the live long day. A premium phone with a premium feel. The Jelly Bean upgrade just makes the deal even sweeter. Feature packed Samsung phones with dodgy chargers and ticky tacky plastic bodies are so last year. Quality over quantity must win out! I have the One, I have had the rezound for over a year, and never a charging problem. I belong to two forums and have not read if charging problems except for a cable that was after market, it was too long for car charger.